Do you want your child to improve his or her IQ & Intelligence ? 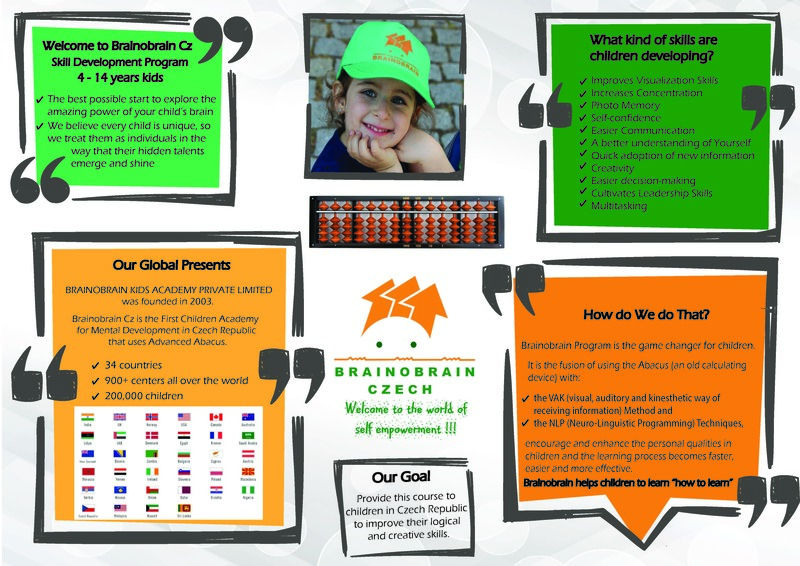 Join Brainobrain, the first Children Academy for Mental Development in Czech Republic – Empowering young geniuses worldwide ! Students’ confidence, self-esteem and behaviour improve tremendously with the NLP (Neuro Linguistic Program) skills they achieve from Brainobrain. Children love Brainobrain classes because they are exciting and engaging; they feel confident and energised after each session. Results have shown that children who follow the Brainobrian technique not only see huge improvement in their academic values but also in personal values and attitudes.